A DRIVEN MARKETER FOCUSED ON GROWING BUSINESSES WITH DIGITAL MARKETING, SOCIAL MEDIA AND BUILDING STRONG BRANDS. Chris Brashear is an accomplished marketer whose marketing experience spans Nissan, INFINITI, Bridgestone, Firestone, Toyota, Tractor Supply Company, Dell and Coca-Cola. A Nashville Top 30 under 30 honoree with a keen business focus he specializes in building digital marketing programs that drive tangible business results. I am a husband, dad, coffee drinker, and US Soccer supporter. I love connecting with anyone interested in technology, branding, digital media, sports and more. I maximize your return on digital marketing and social media programs. Lets discuss how I can elevate your digital marketing and social media efforts. YOU ARE DOING "DIGITAL" BUT IS IT DRIVING YOUR BUSINESS? Digital Marketing is becoming increasingly complex and fragmented. A simple program could require designers, developers, content writers, media teams, and many more specialists to pull together a complete digital marketing presence. My role is to understand your business, what problem you are solving and deliver a digital program that drives results. I deliver you a single point of accountability and leadership in your digital marketing programs. I work directly with you to develop a digital marketing strategy and then secure the right team to execute it. 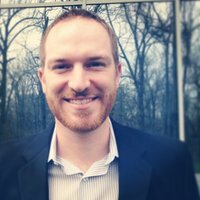 Chris Brashear has experience working on social media marketing, digital media, SEO, paid search, content strategy, mobile and more. He is available to work with clients on digital marketing programs and consulting.